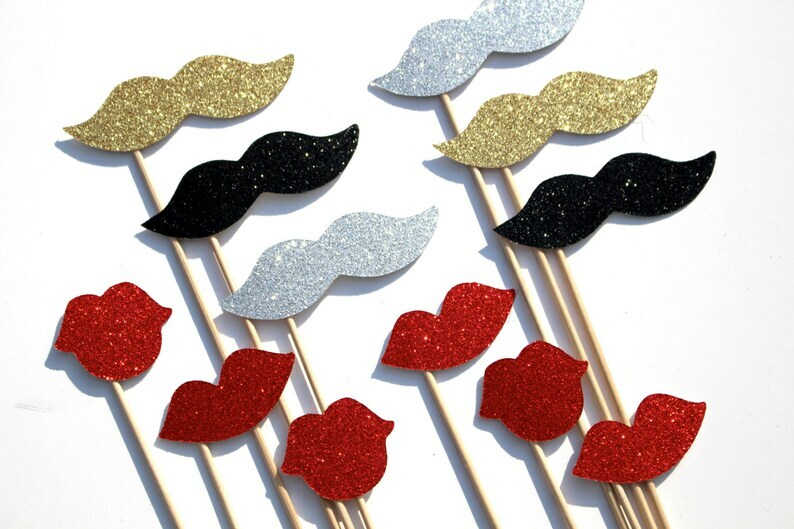 Set of 12 Photo Booth Props with GLITTER! Please note: Glitter will NOT shed!! This listing is for a set of 12 ultra-cool props on a stick!